Nowadays people see different celebrities and they look amazing even after aging. The majority of the celebrities that are spotlighted for this are female, but there are many male celebrities that have had work done to keep them looking their best. These celebrities include people like Jared Leto, Clay Aiken, Robert Downey JR, Howard Stern, Ozzy Osbourne and even Ryan Reynolds. The most common surgeries that the males are known for are Botox, nose, chin and jaw jobs and as modelled by so many male celebrities, it works to make them look so much younger and improves their appearance. 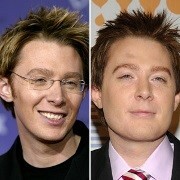 For Clay Aiken the surgery that he had gave him a huge confidence boost, he had a nose, chin and jaw job to create his new appearance which he had become proud to show. Ryan Reynolds had surgery done not just to boost his confidence but to allow him to grow in his Hollywood career and to star in a wider range of movies, which he had struggled to do because of his appearance. After being rejected for his looks, he got a jaw and chin job and now his career is blooming. Jared Leto had surgery to make him look younger and more attractive. He started using Botox to lift his face and make him look years younger than he really is. 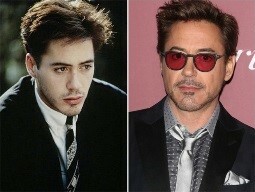 Robert Downey JR was known for substance abuse and after coming clean he had surgery’s to help create a younger, cleaner and respectable looking face. His treatments included things like Botox and some surgery around his eyes. 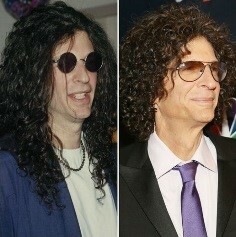 Howard Stern’s first surgery was a nose job and his appearance had change but it was not a dramatic change.agingLater in his life he returned to the knife and had more cosmetic changes. On a regular bases Howard has Botox and facelifts and it’s left the 64 year old looking better than ever. Ozzy Osbourne stunned the world at just how young he looks when he removed his signature glasses. This is a result of facelifts and Botox. 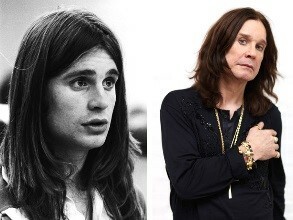 Ozzy proves that even at the age of 69 you can still look young in in the peak of your life. Now, you don’t need to be a celebrity in order to have cosmetic surgery and look your best. Anyone can do it, male or female, and make themselves more confident and look amazing for longer.